The year of ups and downs, twists and turns is coming to a close. Some have had a great year, and some are calling this the worst year in recent memory. As for me, I'm thankful for another year with friends and family. 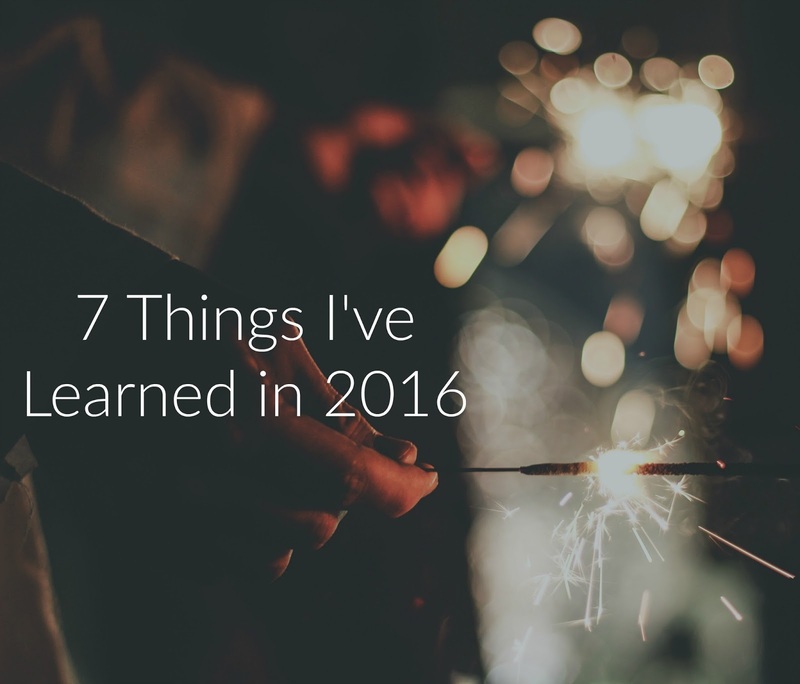 Through the year I've learned a few things which have made me grow in ways I never imagined. Setting a fitness goal and sticking to it is possible. Half way through 2016 I went to the doctor and found out that my cholesterol was too high. The doctor told me to see a dietitian, and I was excited to go. My diet wasn't too bad, and I exercised three to five times a week already. The dietitian suggested that I become a vegan. It wasn't easy to do, but the results were amazing. When I went back for my follow-up blood work, my cholesterol came down over 100 points. I was in the normal range. I also started losing a few pounds. My original goal was to lose a ton of weight. That didn't happen for a long time. So, I shifted my focus from losing weight to lowering my cholesterol. It worked. My goal was reached! I'm sticking with the (mostly) vegan lifestyle and continuing to exercise. I'm setting a new goal for 2017. Choosing between two evils is a real thing. This election year was exhausting. I'm not a fan of talking politics. Once we were down to the two final candidates, I realized there is such a thing as picking the lesser of two evils. I didn't agree with either candidate, and I was dreading the selections awaiting me at the poll booth. Since I take pride in the right to vote, I let my voice be heard. Hopefully, there will be better candidates during the next election. Build it and they will come doesn't exist. I've been an author for a bit now, but nothing outstanding has come of it. One thing I've learned in 2016 is that if you want your work to have recognition, you have to sell it. Placing it on the buffet table among the millions of other reads will not get me closer to being a successful author. The title of marketing magician will be added to the job description of this authorprenuer. I find it easy to tell others how to market their businesses. Now those practices must apply to me as well. Watch out, 2017. I'm coming for you! God puts certain people in our lives. Thankfully, we have amazing family and friends. My husband was laid off in August. We didn't know what we were going to do. Everything was up in the air. Because of God's grace and the exceptional people he placed in our lives, we were able to make it through an extremely rough time. It was uncomfortable to receive help from family and friends. We wouldn't have made it without their generosity. As a result we never missed a meal or bill payments. Within a couple of months Kevin received a job offer. We are truly blessed. God will use circumstances to get your attention. While Kevin and I were looking for work, we had difficult questions that needed answers. Were we following the right path? Were we in the right careers? Was God trying to point us in a different direction? We might have gotten too comfortable in our day to day lives. I know God can use anything to get our attention. If he was trying to grab us and shake us up a bit, it was working. Being laid off is stressful. We are still searching for answers, and we know God will lead us in the right direction. Taking a personality test explains a lot. Have you ever taken a personality test. The Myers-Briggs personality test is eye opening. Kevin and I both took the test while job hunting. The test gives insight on your characteristics, behaviors, and personality. We have learned so mush about ourselves and each other. If you haven't taken the test, you should. Don't chase after people who don't want to be in your life. During the summer I did an informal friend experiment. A friend and I discussed that we should get together for play dates this past summer. With this specific friend, I was always the one calling to set up play dates. So, during the summer I waited to see if she would call me. The entire summer passed and not one call. If someone wants to be in your life they will make the time and the effort. Don't be the one who does all the chasing. There is someone out there that wants to be in your company, and you won't have to beg for it. As a mom, I hear this saying constantly, "The days are long, and the years are short." It's true. 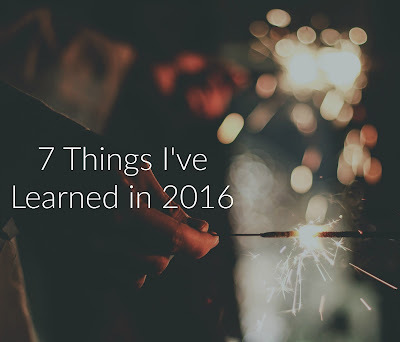 The roller coaster ride of 2016 has flown by, and I'm looking forward to a new year. I hope each of you have joy, peace, and success in 2017!